Morning! 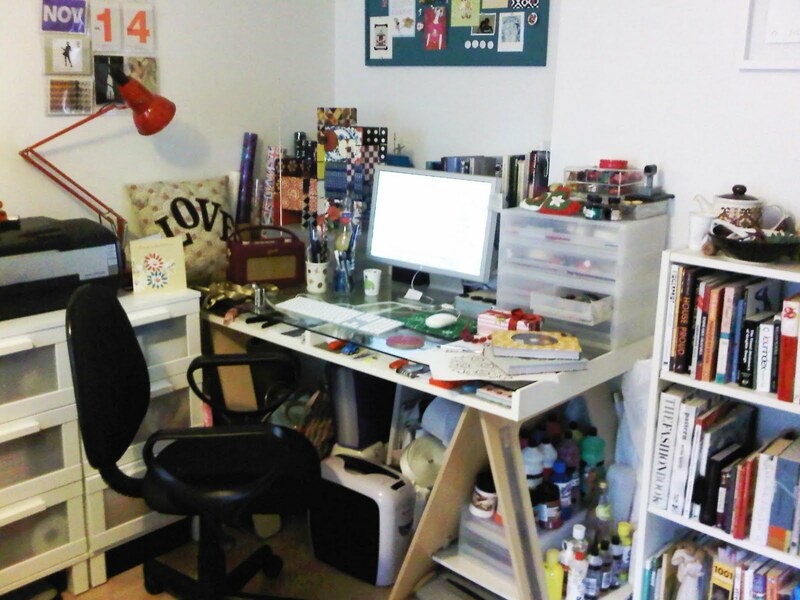 I've been getting really inspired by seeing pictures of other peoples workspaces on their blogs, so thought I'd have a bit of a tidy up and take a pic of mine. I have to say this is the tidiest it's been for a long time! That's an interesting work space - so nice to see where Artist's work isn't it . Yes I agree - love looking at where people work - this is in the corner of our lounge!